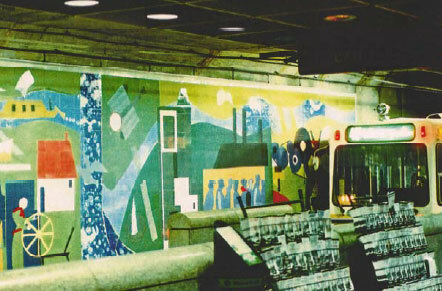 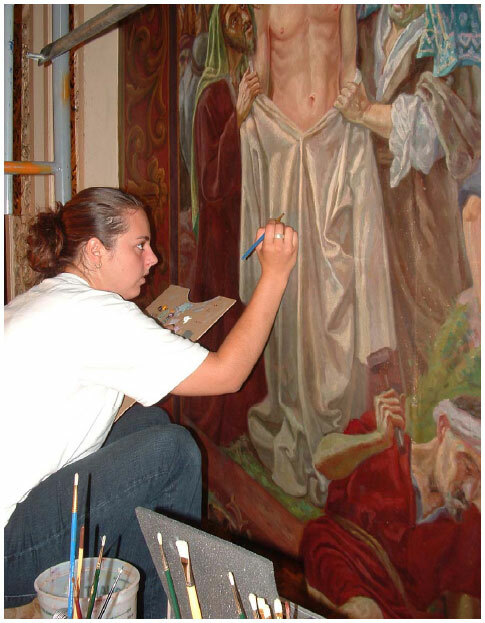 Please note that the projects listed are an abridged listing of notable projects ranging in values from 5 to 500K, The careers of each of the staff span over a quarter century and over those years it has been our pleasure to have treated hundreds of works for Churches, Museums, State, Local and National Governments, Universities as well as Corporate & Private collections. 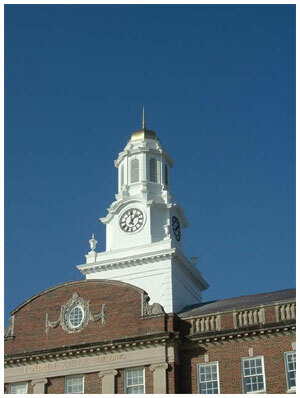 The purpose of this list is to demonstrate Qualifications, Experience, Capacity& Ability. 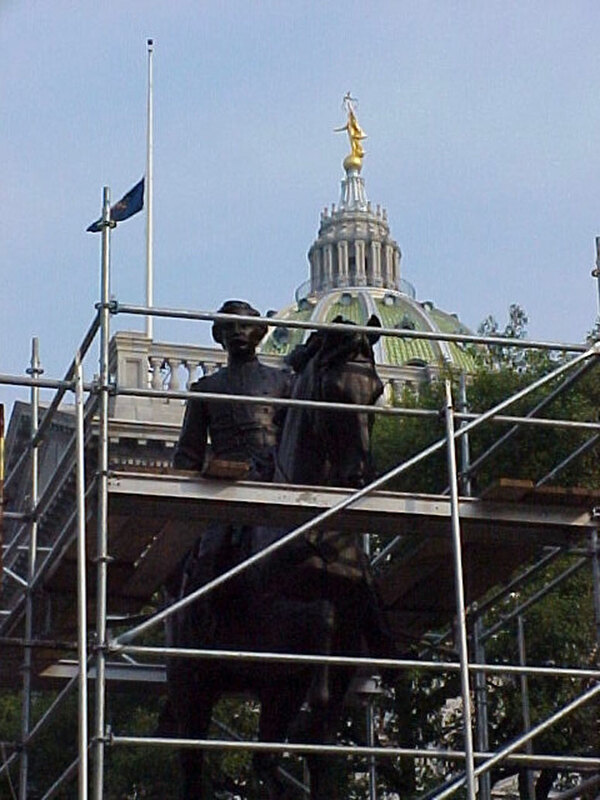 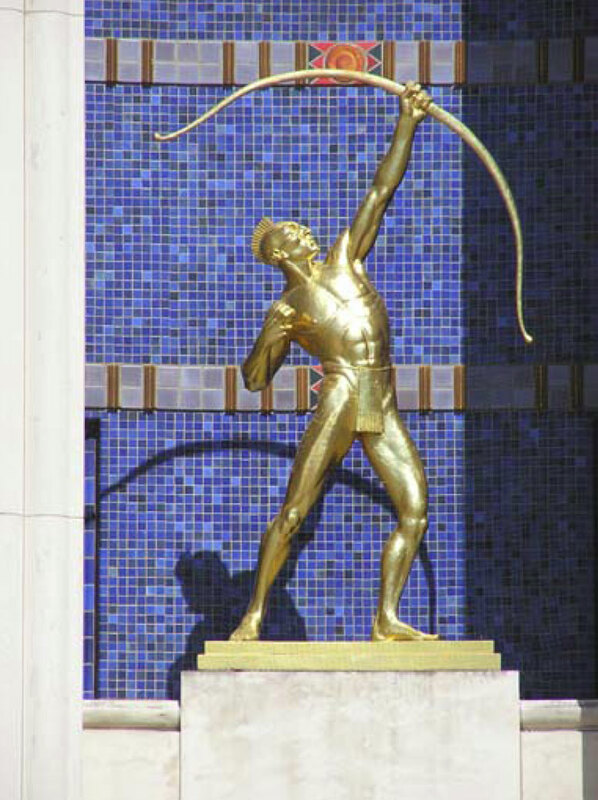 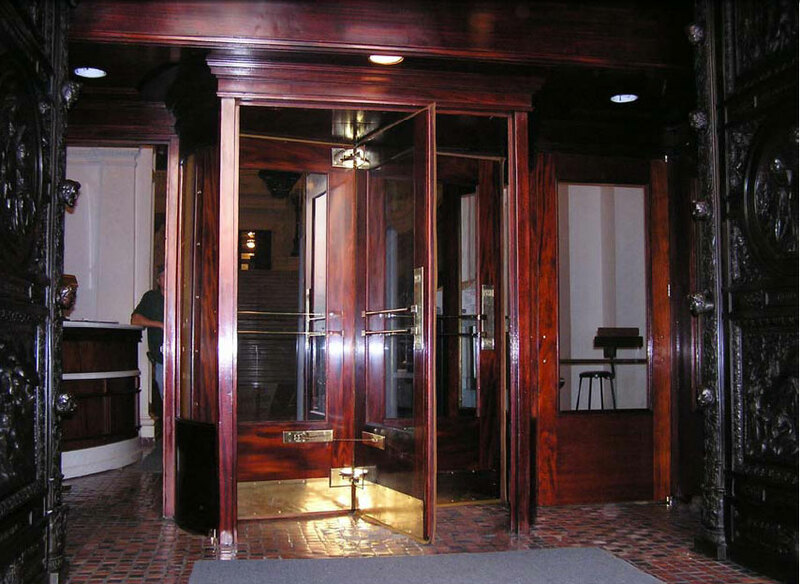 Bronze Conservation and Maintenance of Bronze Art at The PA State Capitol Contact: Joseph Sorrentino, Architect for the Capitol Preservation Committee, Main Capitol Building, Phone 215-218-4881. 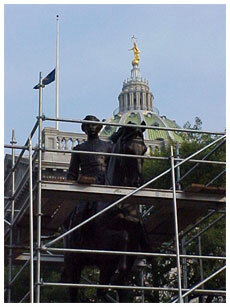 Rigging, lifting, transport, repaired, coated, waxed and treated Iron Sculpture, “West Park Deer”. 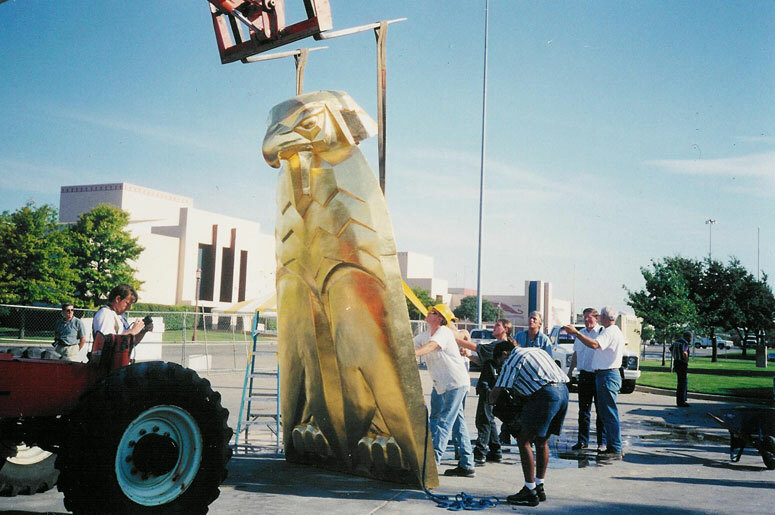 Contact: Manuel Mauricio, Art Collections Manager, Office of Cultural Affairs, City of Dallas Manuel Mauricio 214-500-7379, now retired Cleaning and treatment “Tejas Warrior” (gilt bronze sculpture) replacement of 24kt gold leaf. 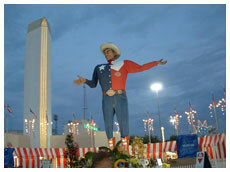 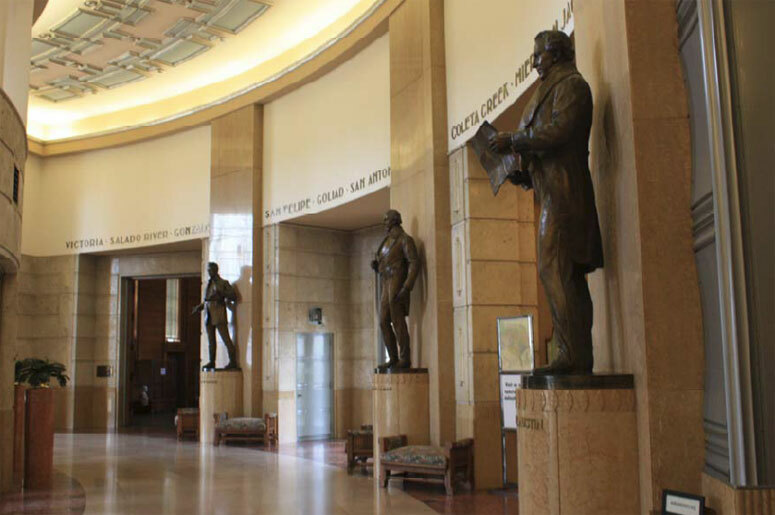 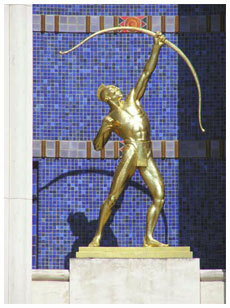 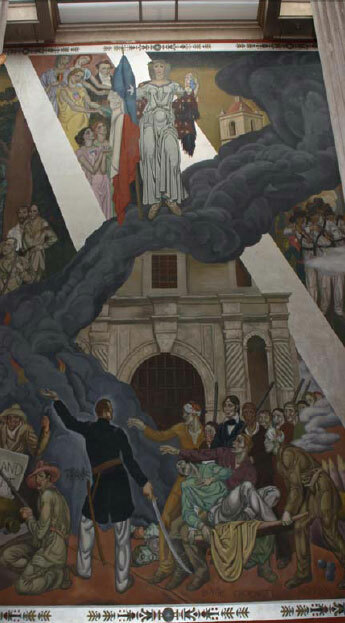 “Texas Hall of Heroes,” in the Hall of State (Fair Park, Dallas.) 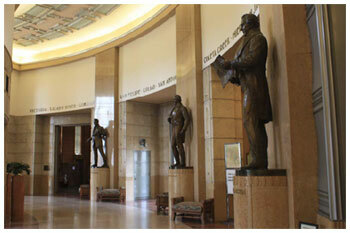 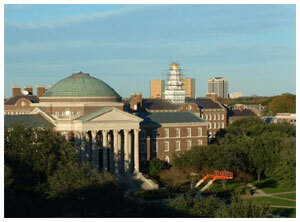 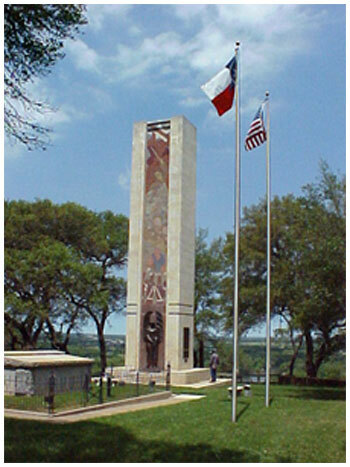 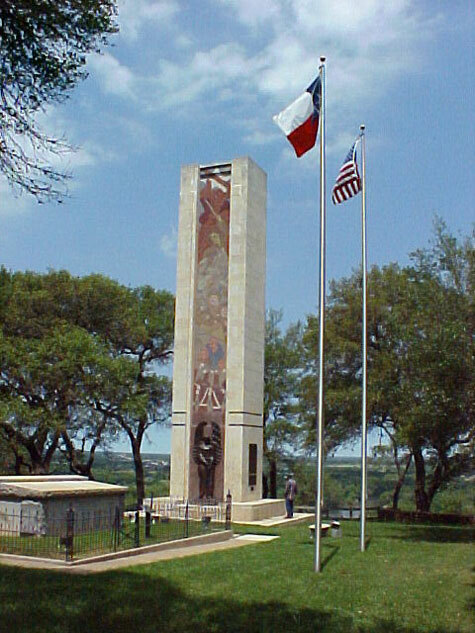 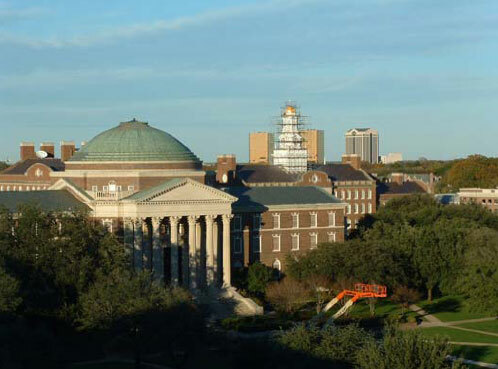 James W. Fannin, William B. Travis, Thomas J. Rusk, Mirabeau B. Lamar, Sam Houston & Stephen F. Austin. 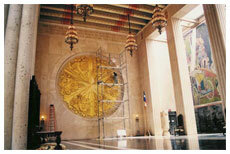 Cleaning and treatment of the 25-foot diameter Great Medallion of TX gilt plaster bas relief by James Buchanan Winn Jr. 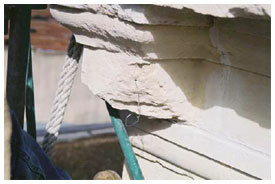 Cleaning, repatination, removal and replacement of failing Incralac coating; wax. 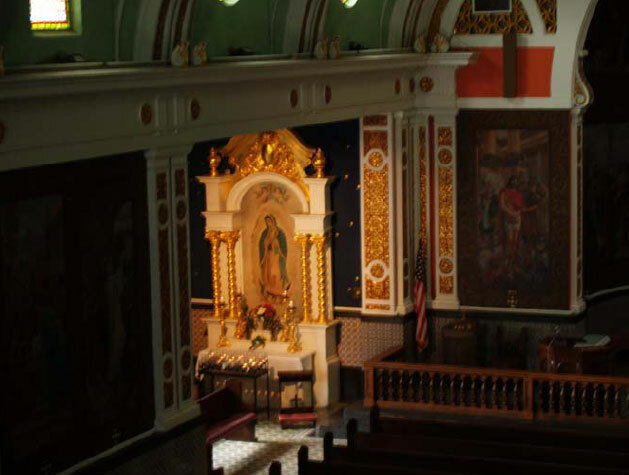 Pittsburgh for the SOS National Heritage Program. Restoration of Oil on Canvas Portrait of Baron Dettmar Basse by Artist Anton Graf, 1790 Removal of mutable layers of over painting and opaque brown varnish, relining and new stretcher & hanging system and regilding of the frame. 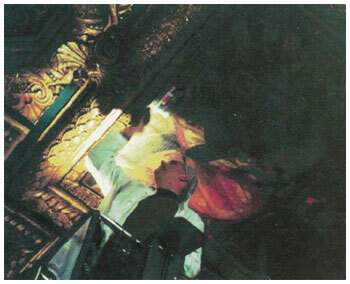 Conservation treatments of 15’ diameter ceiling portrait/ mural, Oil on Canvas by Alfred Valiant, circa 1920 of Col. Edwin Drake. 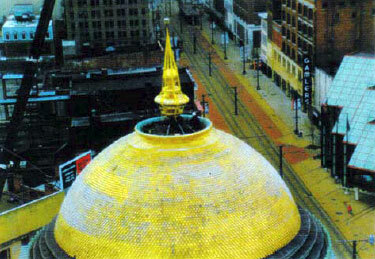 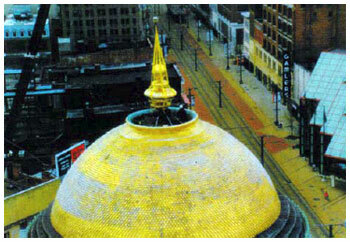 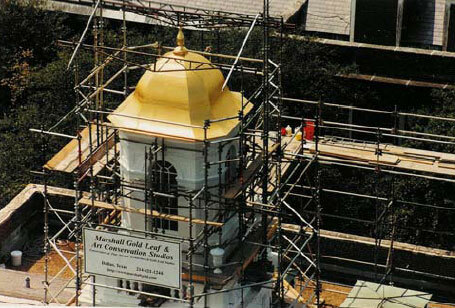 Restoration, conservation and gold leaf of 9,980 square foot dome of gilt terra cotta tile and gold leaf on copper, the rigging and removal of the large repousse copper finial, replacement of finial armature, its reinstallation and gilding. 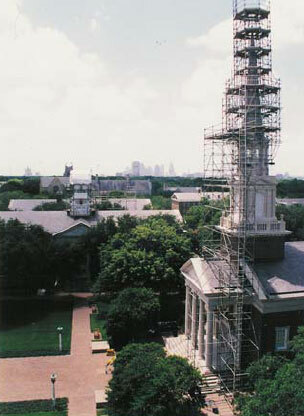 Restoration and conservation treatments of the Tower Building including the rigging and lifting of the 33,000-pound art deco eagle atop the tower, its exacting duplication in Glass Reinforced Concrete with stainless steel armature, conservation and restoration treatments of the 2,000- square-foot bas-relief mural and the restoration of the two Great Seals of the United States on the front of the Tower Building. 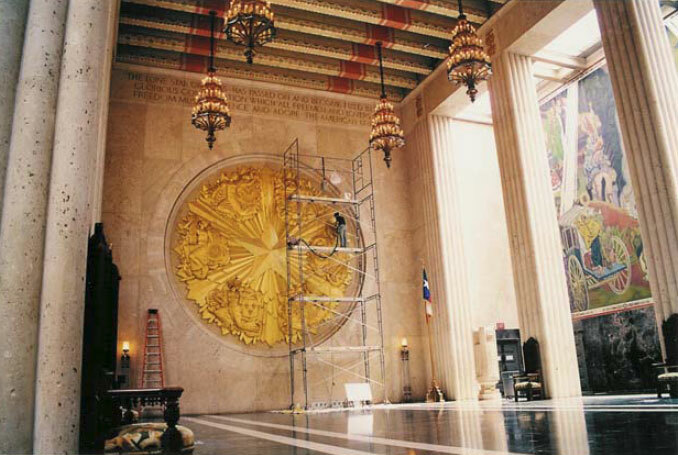 Gilding of the eagle sculpture and tower flutes. 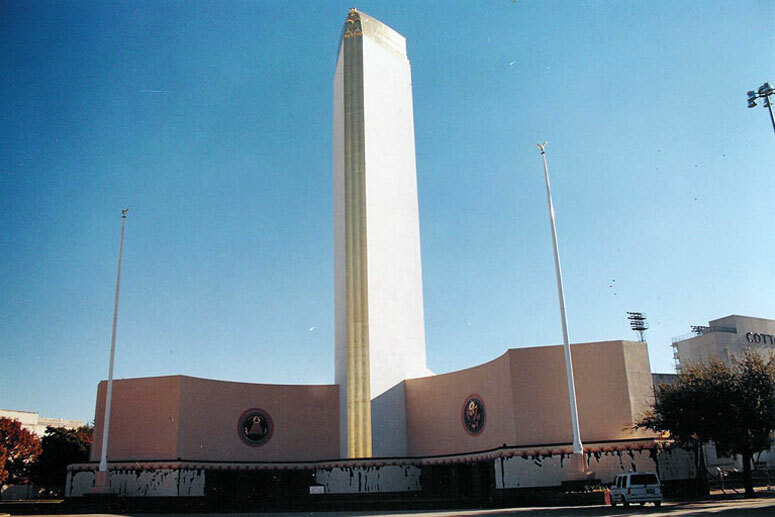 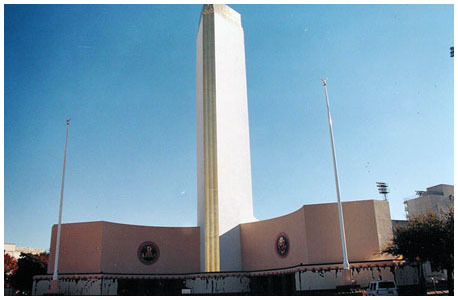 Building at Fair Park to document areas which have come loose from the substraight. 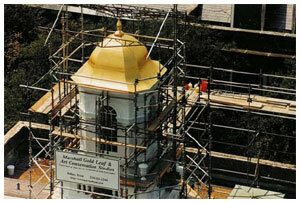 Gilding of chapel lantern dome and relief cross above doors of chapel. 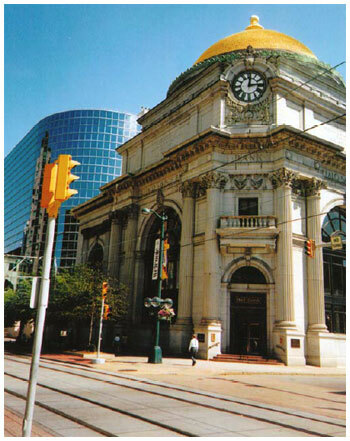 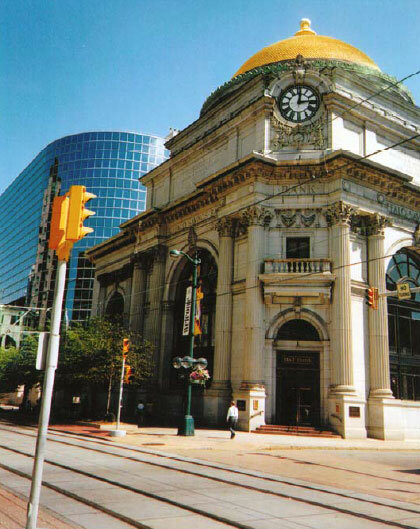 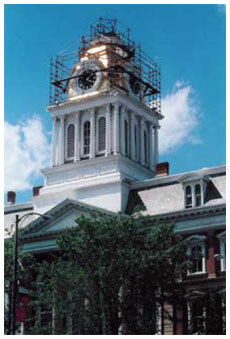 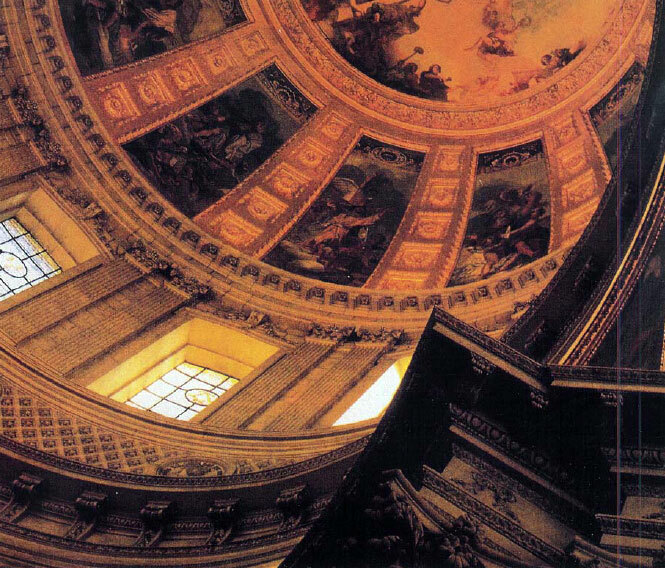 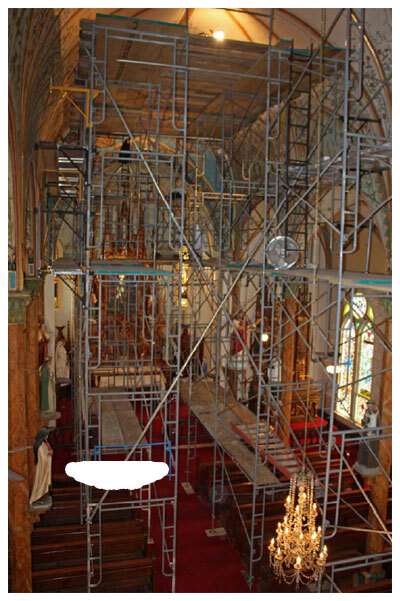 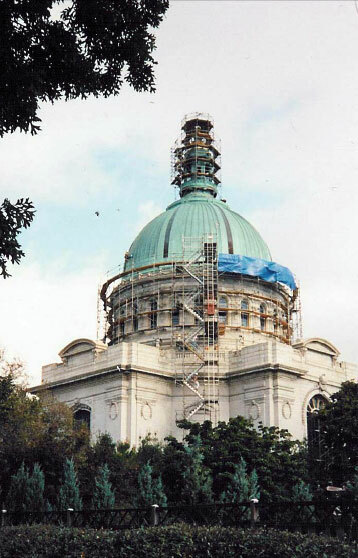 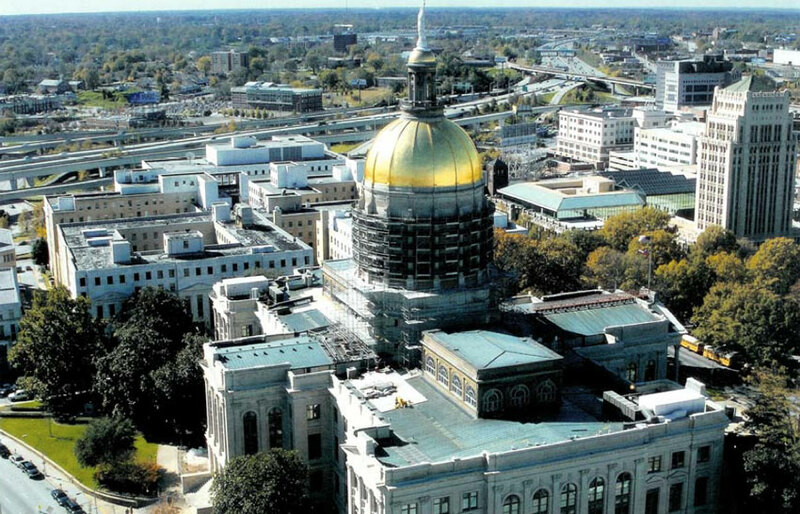 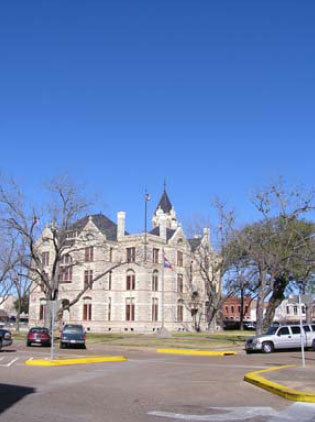 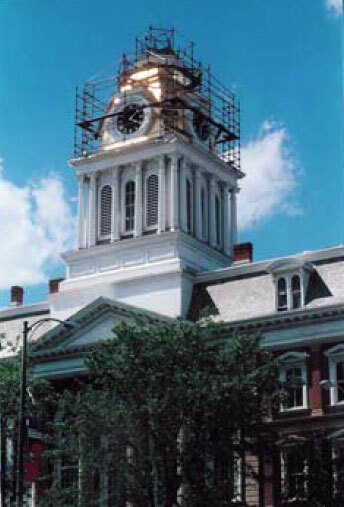 Removal of existing coatings, lead abatement, surface repair and preparation repair and restoration of dome and spire of the lantern, application of coatings and gilding. 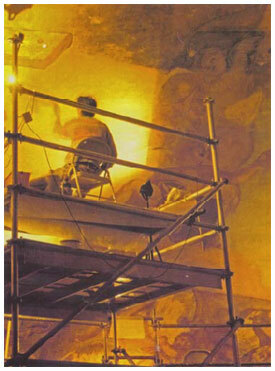 Oversight of conservation assessment of four early 17th century Baroque period sculpture “Four Seasons” in terra-cotta. 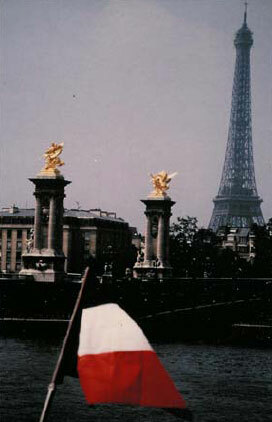 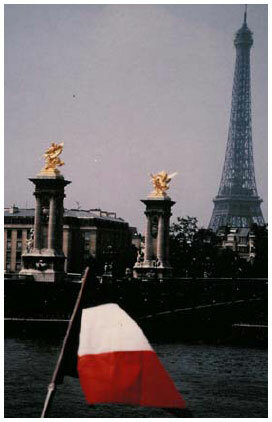 The terra-cotta forms were the original forms for a bronze fountain at the Chateau Versailles. 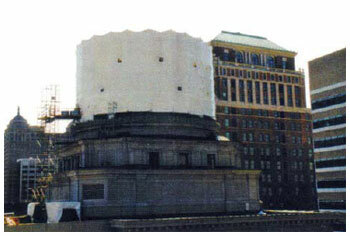 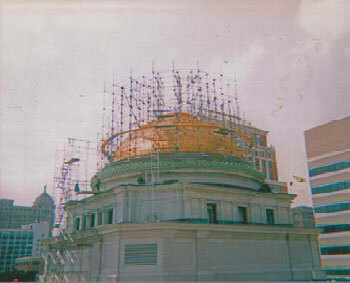 Creation and installation of 16’ X 9’ X 9’ laminated cypress posts; copper restoration and conservation, painting and gilding of two large spheres, three large crosses, and two finials. 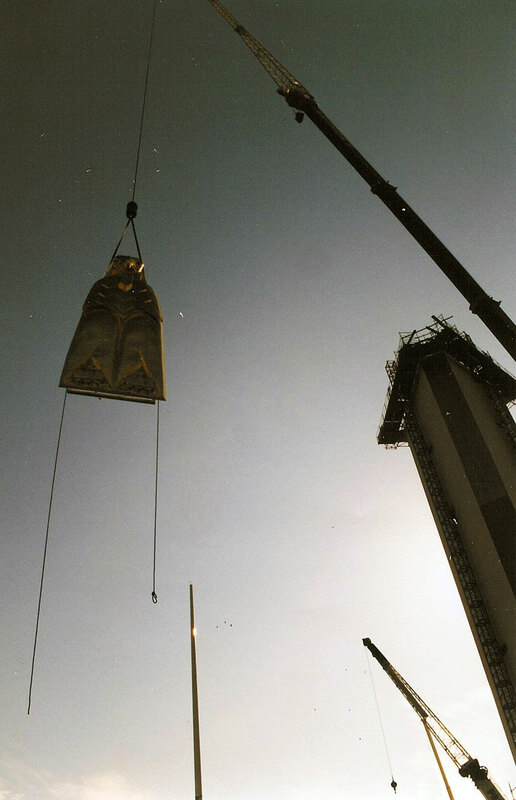 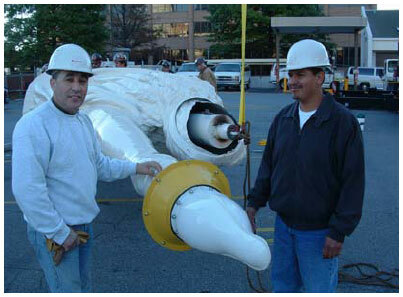 Treatments included the rigging and installation of artifacts. 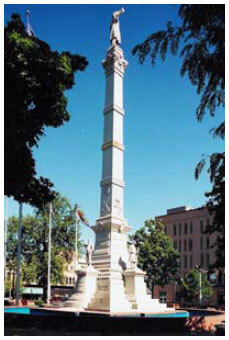 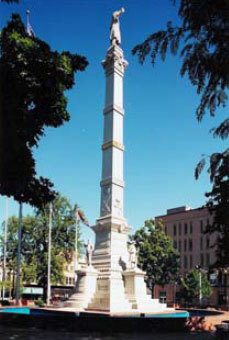 Indiana Register of Historic Sacred Places. 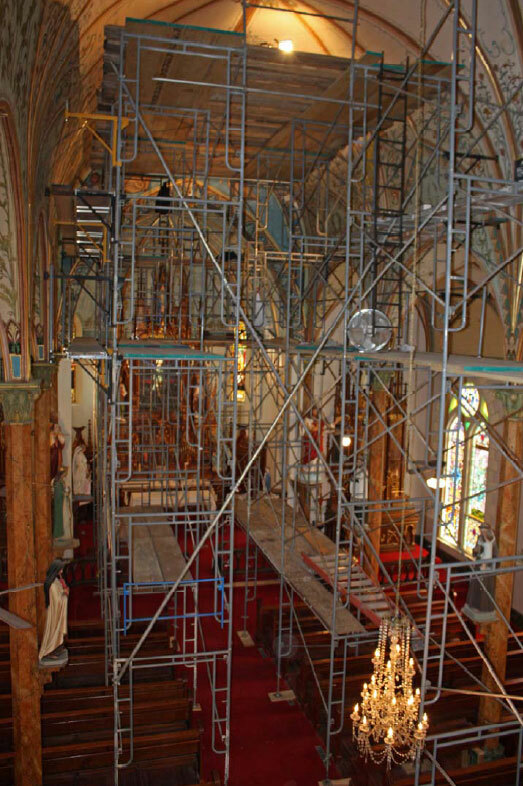 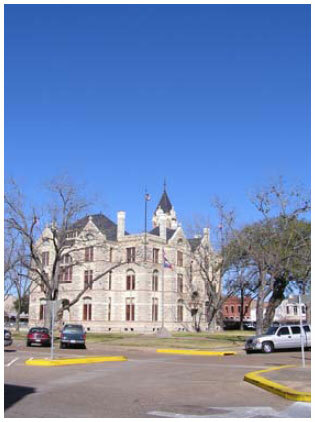 Historic plaster restoration, consolidation and lead abatement of late paint coating. 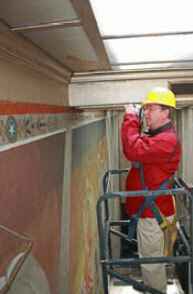 Conservation and restoration of Block printed & hand-painted wallpaper. 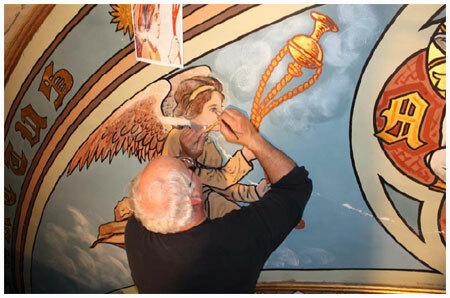 Painting and gilding of a circa 1827 mansion. 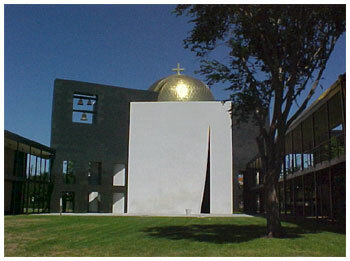 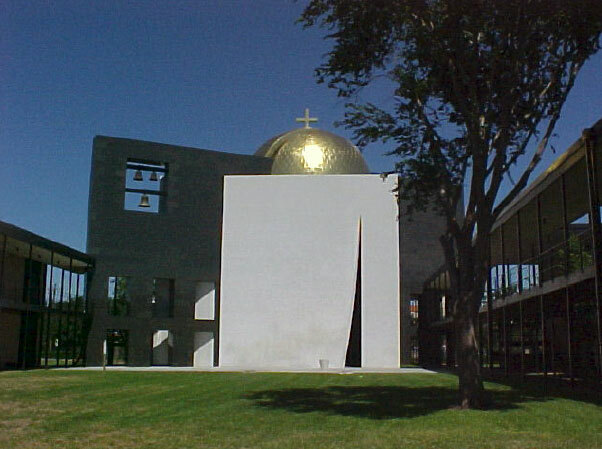 Philip Johnson designed Chapel. 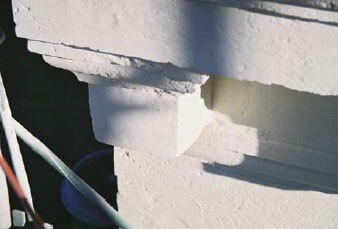 Consultation and discovery of flaws caused by changes and modifications to original design. 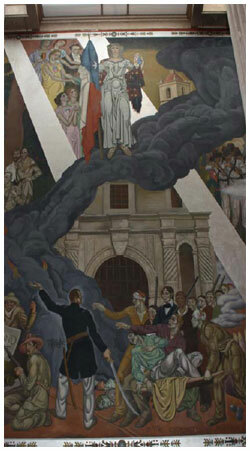 France circa1760 Murals depicting the passion of Christ and his ascension to heaven, above the tomb of Napoleon. 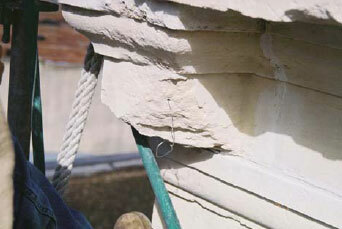 Removal of excess adhesive and disfiguring surface contaminates. 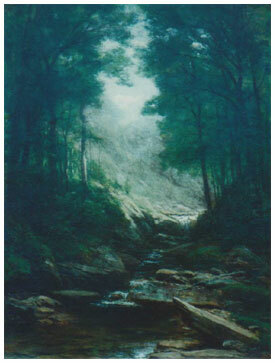 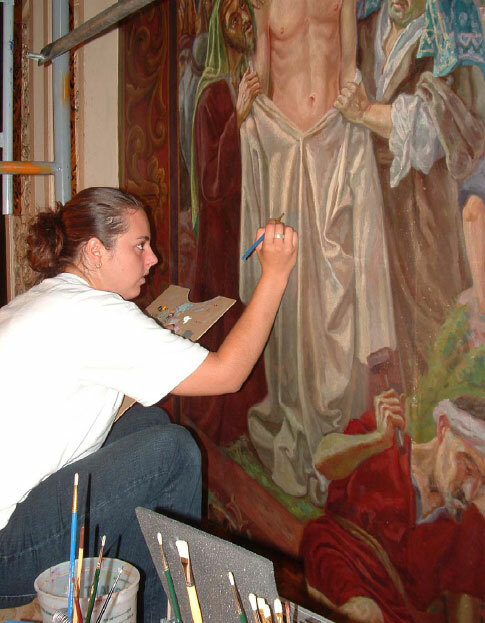 Treatment of paintings in the collections in the private collections in Florida, Pennsylvania. 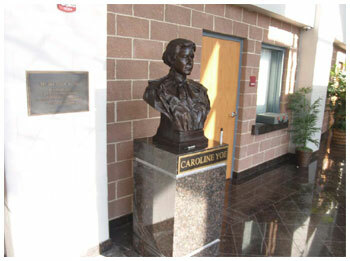 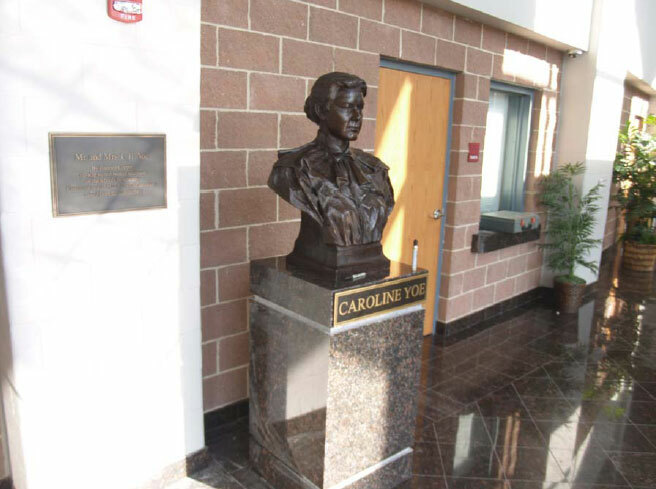 Cameron School District, Cleaning and re-patinization of two Pompeo Luigi Coppini Busts of the school founders Mr. and Mrs. Yoe. 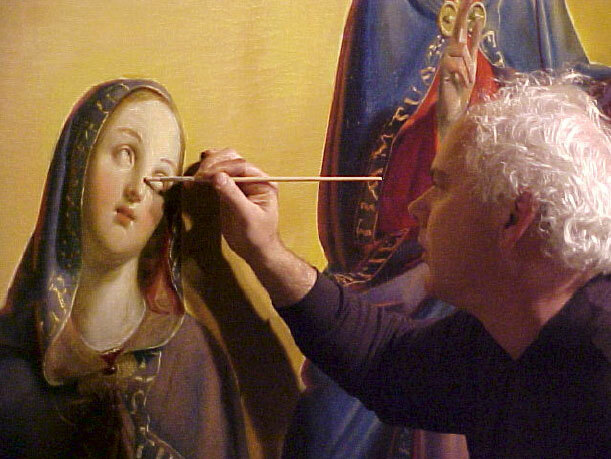 Conservation including relining of the 1870’s painting of our Lady of Guadalupe and gilding of the altars in 23.75 kt gold leaf and faux marble. 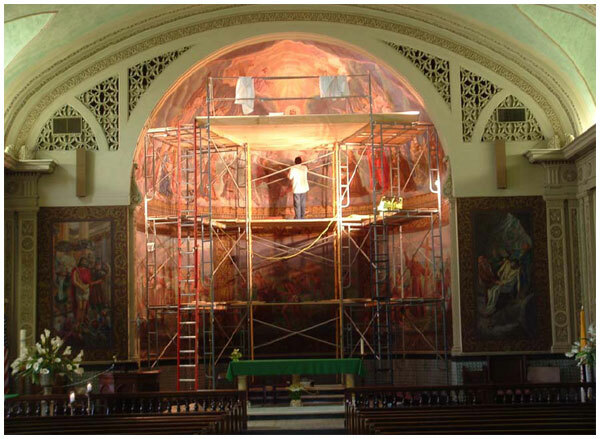 Restoration treatments of the 3000 square foot of oil on canvas murals of the Passion of Christ by Pedro Barceló of Mallorca, Spain at Saint Francis on the Brazos, Waco, Texas. 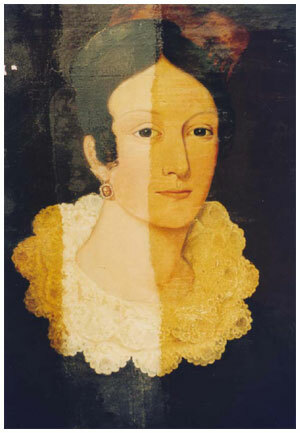 Oil on Poplar wood damaged by fire, restored/conserved in 2000.
collection of the Museum of the City of New York, 50.215.2. 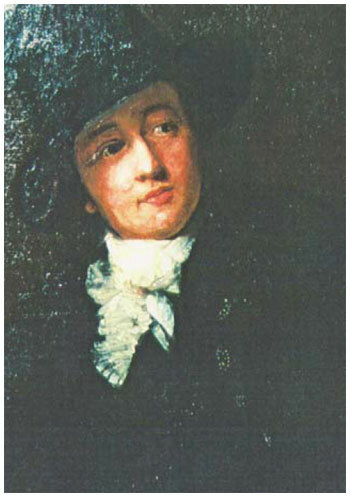 Owner Thomas Buell Jr. of Pittsburgh, a direct descendant. 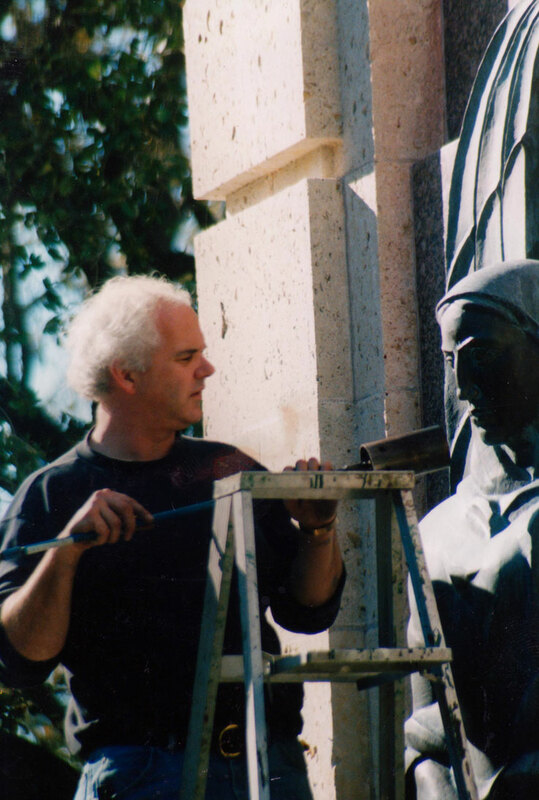 Technical Review Consultant for Heritage Preservation for their project with the National Cemetery Administration on a number of monument restoration projects at US National Cemeteries across the USA. 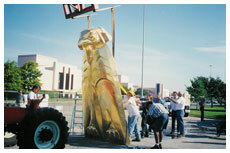 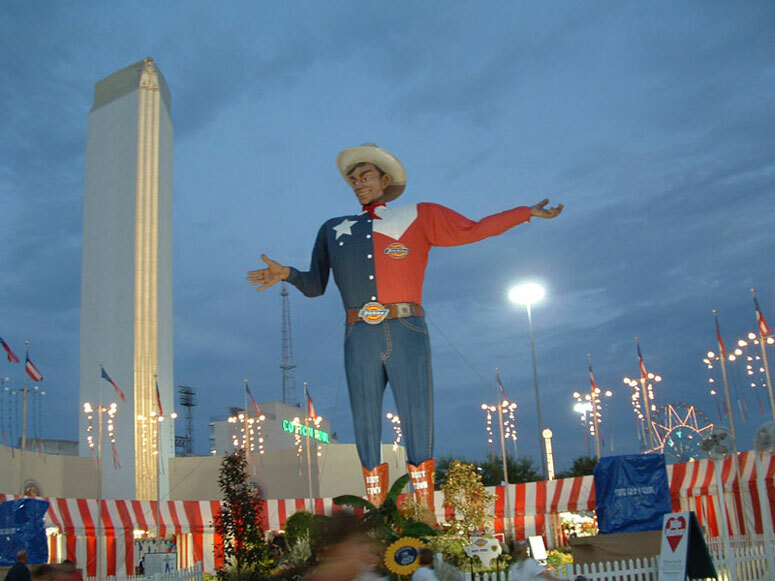 Conservator & Consultant for the Hall Of State, Fair Park, City of Dallas. 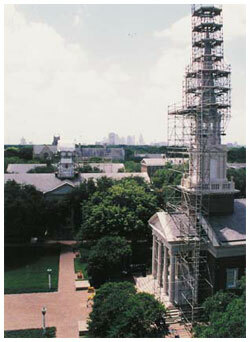 Mechanical retrofit and restoration project. 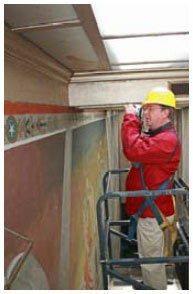 Responsible for the art and collections protection plan, historic paint analysis. 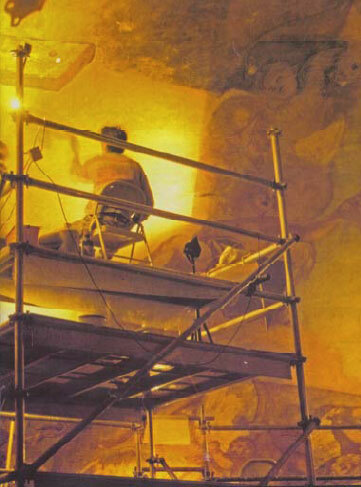 Protection plan for the Murals of the Great Hall, East & West Texas rooms by artists Eugene Savage, James Buchanan Winn Jr., Tom Lea and others as well as the bronze sculptures of the Hall Of Heroes by Pompeo Luigi Coppini. 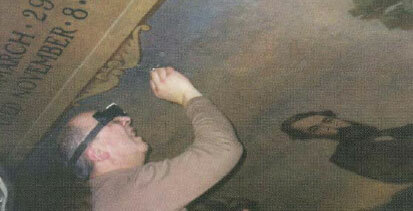 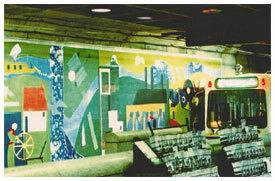 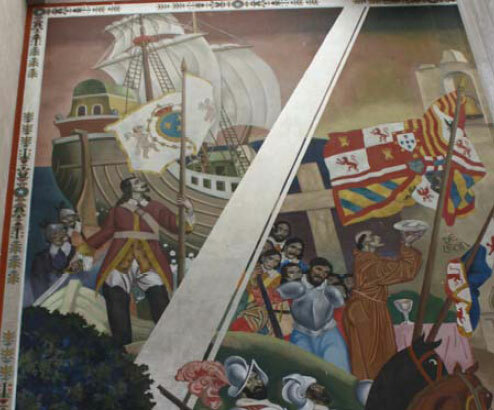 Conservation of the artwork of the ceiling, Oil on Canvas mounted on wood, & Murals on Plaster. 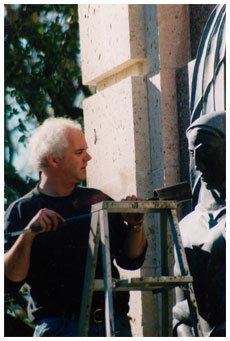 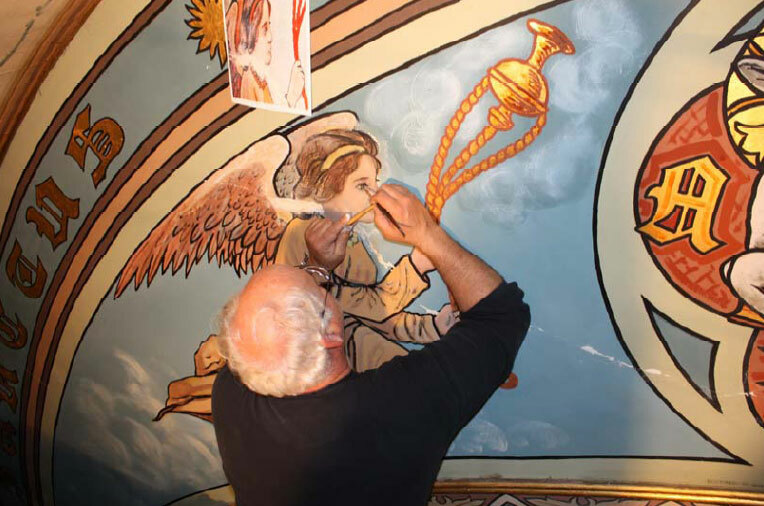 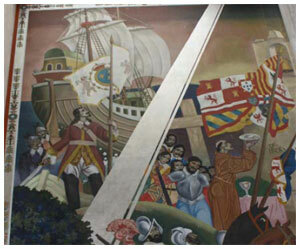 Restoration of faux painting and stencils on walls, sculptures, wood altars and shrines and all interior gilding. 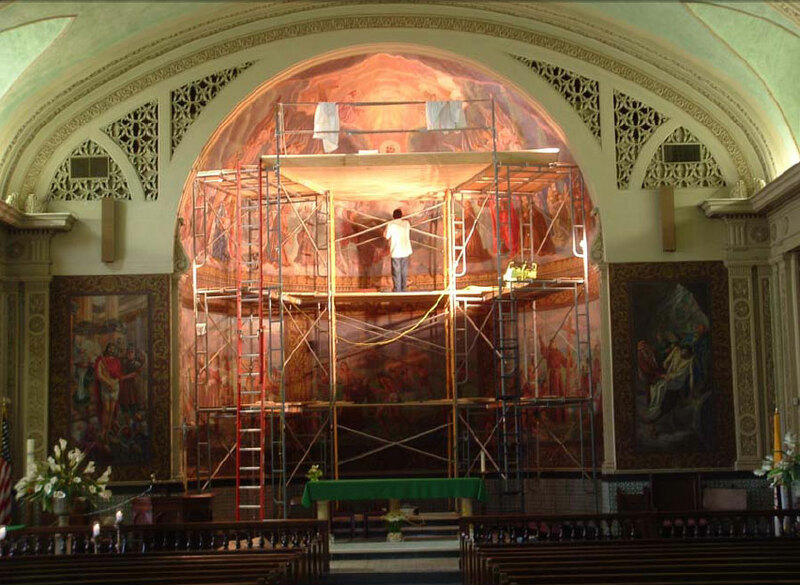 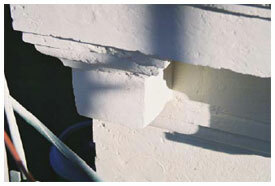 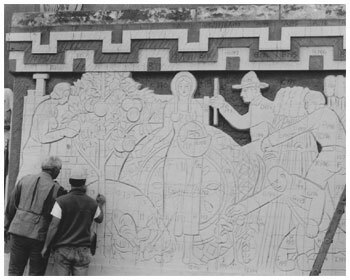 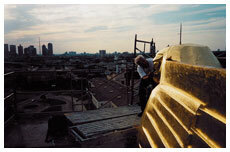 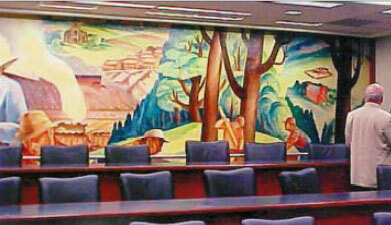 Stabilization of plaster walls and recovery and documentation of historic decorative wall art. 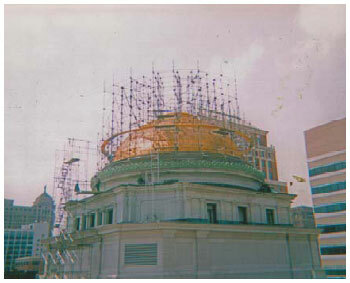 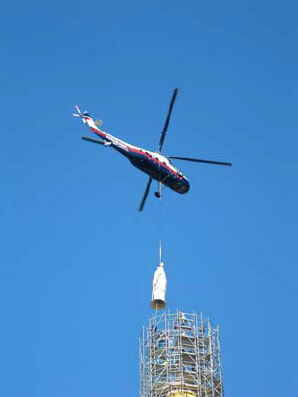 City of San Francisco, Civic Center Dome Restoration. 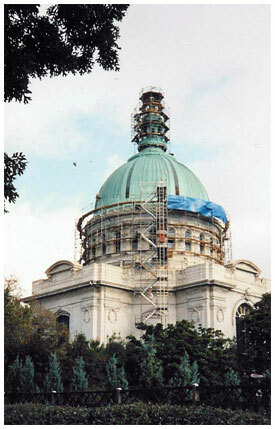 West Virginia State Capitol determination of past treatment failure and recommendation of future treatments. 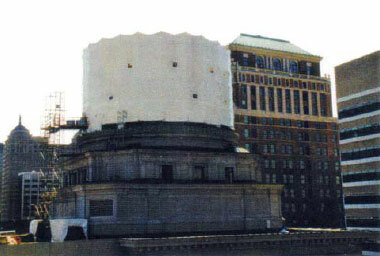 New York Life Building, NY gold tile roof determination of past treatment failure and recommendation of future treatments.